Of all the contemporary Southern novels today that draw comparisons to Faulkner and O’Connor, Starnes’s tale may be one of the few that deserves them. The unsentimental but glorious world seen through the eyes of a “half mutt half chow” fearful of man and guns is pure Faulkner. Elmer, condemning the bigwigs around him for “their fondness for impure women and liquor and money and the love of their own images reflected in shiny glass” echoes the righteous, scathing hatred of Hazel Motes (Wise Blood). Atlanta Magazine’s Teresa Weaver also praised Fall Line, calling it an “affectionate, eloquent story of loss and survival” in the February 2 issue. Author Starnes has been busy with interviews, speaking recently to Rowan University Radio and Tennis.com. Starnes described the gestation of his novel, which develop from an idea he conceived in 1989 when reporting on earthquake tremors associated with a large man-made lake in Milledgeville, Georgia. Starnes recounted this story at a reading from Fall Line at the Wolfgram Memorial Library at the main campus of Widener University on January 26. Starnes will next be in Georgia on Friday, April 27, when he will read from Fall Line at the Old Governor’s Mansion in Milledgeville at 6:00 pm. Fall Line is also featured on goodreads.com and was included on Deep South magazine’s fall/winter reading list. The trailer for Fall Line is also available on YouTube. 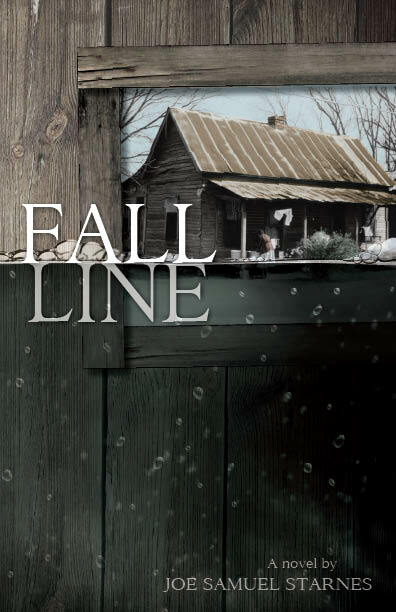 Fall Line is available in print and all ebook formats from Amazon.com, NewSouth Books, or your favorite bookstore. Deadline, the new movie based on Mark Ethridge’s novel Grievances (NewSouth, 2005), premiered yesterday in Nashville to a crowd of over 1,000. The premiere kicks off a 42-city tour for director Curt Hahn and some of the cast, before the movie opens across the country on April 13. Premiere attendance had been projected at only 200-300 viewers; the attendance instead ended up selling out three movie theaters, the Tennessean newspaper reported. Deadline follows two journalists trying to solve a decades old civil rights-related murder. Hahn, speaking with the Tennessean, noted that the increased attendance will raise more money for Nashville’s Family and Children Services, which benefits from the premiere. Showings along the tour will be sponsored by local newspapers and equally benefit local charities. The Deadline tour will include showings in North Carolina, Texas, Louisiana, Florida, Georgia, Illinois, Indiana, Kentucky, Ohio, Michigan, Pennsylvania, Washington, DC, Maryland, New York, Massachusetts, and other locations. See the full list at the Deadline website. Read the Associated Press and Art Now Nashville coverage of Deadline. You can also see a video from the red carpet premiere from the Tennessean. Grievances is available in print and ebook editions from NewSouth Books, Amazon, or your favorite bookstore or ebookstore. Mark Ethridge’s new novel Fallout is also available in print and ebook formats. Next Wednesday marks the world premiere of Deadline, the new movie based on veteran journalist Mark Ethridge’s 2005 novel Grievances; Ethridge also wrote the screenplay for the movie. 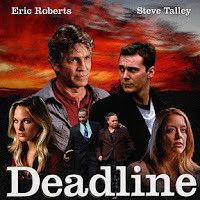 Deadline stars Eric Roberts and Steve Talley as reporters investigating a decades-old civil right murder. The world premiere itself kicks off an experiment of sorts in movie-making. After the premiere, the movie’s director and many of its actors will embark on a forty-two-city tour of the country to promote the film in person. This grassroots approach epitomizes Deadline as a whole — a movie produced by Nashville-based production company FilmHouse, which used predominantly local actors and even had its soundtrack written by a local musician. The release of Deadline comes in conjunction with the publication of Ethridge’s new book, Fallout. Like Grievances, Fallout follows a newspaper reporter, this time seeking the cause of an illness that strikes an entire Ohio community. Fallout is available in print and ebook formats, as is Grievances. The first premiere of Deadline will be hosted by the Tennessean, and proceeds benefit Nashville’s Family and Children’s Services. Premieres in other cities, Hahn told the Nashville Scene, will similarly partner with newspapers and support local charities. Learn more about Deadline from the official movie website, deadlinefilm.com. You can read articles about the premiere from the Tennessean, Nashville Scene, and Nashville’s NewsChannel 5. Grievances and Fallout are available direct from NewSouth Books or your favorite book retailer. You are currently browsing the NewSouth Books weblog archives for February, 2012.